Upcoming sales, events, courses & volunteers days! We were also delighted to hear that one of the groups who participated in our project with female asylum seekers and refugees has set up a cycling club! Find out how Cycling UK can help you set up a group too. Ladies can also check out local cycling opportunities (and loads of other activities) through the Leeds Girls Can website. Find out what all the bits of your bike are really called! [A] really hands on [course], supportive and tailored to what the group wanted to get out of it. Friendly inclusive environment where felt ok to ask ‘silly’ questions. Also really valuable to have a women-only session, as empowering to be taught by female mechanics and created a less intimidating/more inclusive environment than (some) bike hubs. Fantastic course overall! Both mechanics were very knowledgeable, friendly and understanding. This is why having a women’s space to learn bike skills is brilliant. It really highlighted the importance of being able to see yourself in a position in order to believe you can do it. I have often found myself afraid of asking too many questions with mechanics who are men as there is pre-supposed knowledge on mechanics or the fear of looking ignorant, when actually you just have never had the opportunity to learn about mechanics. The mechanics were not only great teachers, but they were reassuring that they started off in our position and therefore instilled self belief too!!! Amazing session – more of the same please!!!!!! For our newest project Bike Mill are branching out into a slightly different part of the cycling world – road safety. As we spend so much time encouraging people to get out on bikes, we also wanted to do our bit to try and make Leeds’ roads safer for everyone. This project will engage with drivers using a restorative approach – working with them to understand the impact of their driving on vulnerable road users, especially cyclists. The core of the project will be offering professional drivers the opportunity to attend a training programme, comprising a cycle safety seminar and on-road cycle training. This could act as useful professional development for driving instructors, van or taxi drivers. Another aspect will be organising a number of ‘restorative conferences’, in which people involved in vehicle-cycle collisions will be invited to meet, be heard, and discuss the impact of the incident. Restorative practice is becoming increasingly recognised as an effective way to approach justice. Rather than simply punishing the responsible party, this approach personalises incidences of crime or conflict, by providing victims and those responsible the opportunity to meet, share their perspective and explore joint solutions. You can read more about it here. Above all this project aims to build empathy and improve relationships between cyclists, drivers and other road users, ultimately leading to more responsible attitudes and behaviour from drivers. Friendly 100 mile ride coming up! This will be a fun, friendly ride, open to all, and especially welcome to anyone who hasn’t yet reached the 100 mile milestone! Bike Mill will be there with bells on – would be awesome if you could join us! Meeting at Leeds Town Hall at 8am on Saturday 15 July. Heading east so it should be relatively flat, cycling speed will be steady, but not fast (aiming for 12-14mph). Keep an eye on for the route on the facebook event. Last week the Bike Mill Owl spread its wings and flew* over to Bradford for the Women & Cycling conference. On arrival we found ourselves in a brilliantly packed room full of people, stalls, info stands & participatory activities. The morning talks heard stories from ladies from all cycles of life. It was really moving to hear how cycling had positively impacted so many women… and we were inspired to hear tales of gaining confidence & independence, improving mental health & managing depression, feeling fitter & happier, exploring new places, challenging perceptions, making friends & strengthening communities. Representation of diverse women in cycling was a strong theme throughout the day. In particular the need to challenge the notion that to be a “proper cyclist” you have to be this, have that, or know everything about bikes already. If you’re sitting on a bike, you are a cyclist. Inspiring young women, especially black & minority ethnic women, to see cycling as a safe / fun / viable option was advocated by all, and was being awesomely demonstrated by so many groups in the room, including Girls Gotta Ride Cycling Club & Onna Bike Community Club. We were flattered to be invited to hold a discussion on engaging women from asylum seeker & refugee communities in cycling. This was based on the work we’ve been doing in our pilot project funded by Leeds Community Foundation. We were grateful to all the ideas that were shared around the table and excited to hear that similar projects may be starting up elsewhere. Importantly though, the people who should shape such projects are the women themselves. We are committed to widening participation, and encouraging more (and different) people to our workshop – but we don’t have all the answers for how to do that and don’t want to assume we know best. So if you want to get more involved, or have an idea of something that would really help you cycle more, please let us know. *Actually, it was very lazy & got a lift from the peloton of ladies who cycled with us from Leeds to Bradford along the cycle superhighway. And it ate most of the doughnuts. This June we’ll be flinging open the workshop doors on three weekends as part of Cycling UK’s Big Bike Revival national campaign! Everyone is warmly welcome… Bring your bike to repair, buy a new one or simply come and say hello! We’ll have some free bike parts to give away, a tombola with instant prizes plus a competition to win £250 vouchers! Plus cake, let’s not forget the cake. Get help repairing and maintaining your bike in our well-equipped workshop. There will be mechanics on hand who will work with you to identify what needs to be done and to help you do it yourself. We’ve got a limited amount of things like brake pads, cables and chains available for free to help reduce the cost. We will have a range of refurbished second hand bikes for sale priced from £60 upwards for adult bikes and from £15 for kids bikes. These have all been serviced by a qualified Leeds Bike Mill mechanic. Stay for a while – chat to others, pick up a map, find out about local cycling groups and enjoy a coffee or tea and a sweet treat. 1. Save money. Many routine repairs and adjustments can be done at home with just a few basic tools. Catching problems early will prevent them turning into major (and expensive!) issues. For example, regularly replacing your brake pads and chain will keep more expensive bike parts happy for longer. We teach when and how to do these on our intro courses, so a small investment now could save you further down the line. For the more in-depth jobs, you can visit a community bike workshop – such as our sister project, Pedallers’ Arms – to access the lesser-used and more expensive tools that you don’t need to own yourself. 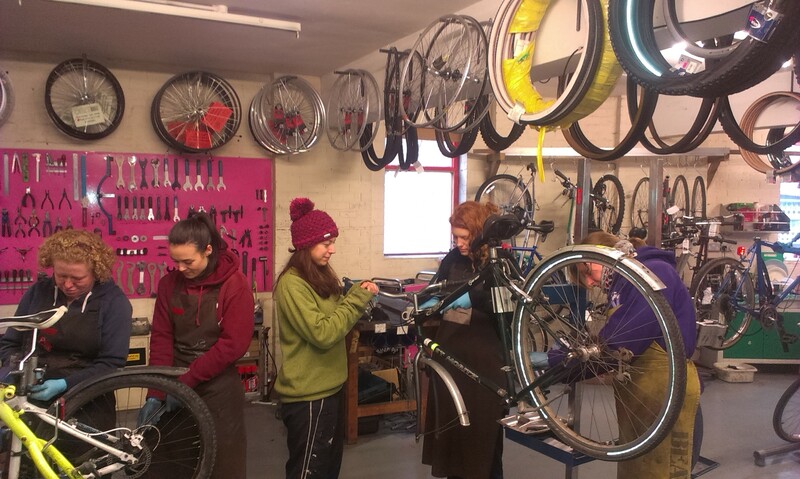 Our 2-day course is £125; you could easily pay that for a professional service, but if you choose the course you’ll end up with a fully serviced bike plus the skills to do it again next time! 2. It makes your bike safer to ride. The ability to spot and fix wear & tear early on is very, very valuable – not just for your wallet but for your safety (and those around you!). The thing about bikes is, small routine issues can snowball into big major issues if left unchecked. Given time, that annoying but innocent squeak could end up being something much worse – and we’ve seen some pretty alarming things in our time! Regular health checks and replacement of a few key parts are easy to do; your bike will thank you for it, and reward you with many more miles happy cycling! 3. It makes your bike a pleasure to ride. 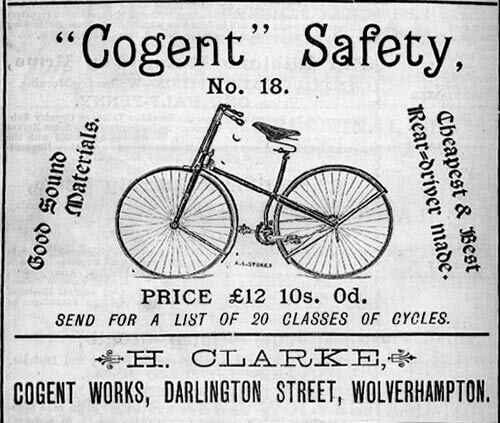 Safety first, naturally, but once that’s sorted, let’s not forget the all important comfort-factor. Loads of people end up on bikes that aren’t the right fit or aren’t adjusted to their needs (people are very adaptable!). Or in many cases, people just stop cycling because, frankly, it’s a pain in the arse if your brakes constantly rub or your chain keeps falling off. Whatever your reason for cycling, the right size bike, saddle and handlebar position, accessories and luggage solutions can make all the difference to how you experience – and enjoy – cycling. Learning bike maintenance will help you understand how your bike is put together, and what you can do to make it work better for you. 4. Get practical skills. I’ve lost count of how many new visitors to the workshop have told me “I don’t have a mechanical mind” or some such. They may be right – we are all blessed with different strengths after all 😉 – but the good news is, it doesn’t actually matter. A lot of bike maintenance is really simple stuff. If you don’t have any practical skills, bikes are a great entry point. Its parts are mostly very visible, you can clearly see how things connect, and with a bit of explanation, a few tools and some practise you can know your way around a bike quicker than you’d think. You may then be surprised at how quickly this knowledge becomes useful in other contexts… and you’ll be on your way to becoming a practical, problem-solving DIY expert. If you are interested in learning more about bike maintenance, check out our upcoming dates and more info about the courses we currently offer. Upcoming courses, bike sales and volunteer days… Plus spring news! Our next bike sale is on Saturday 22nd April 10 – 4pm. You can view details on our bikes for sale page. We’ve also got a Facebook event here, if you want to share it. Our next two day advanced bicycle maintenance course with spaces left is on Saturday 6th and Sunday 7th May 2017, 10am – 6pm both days. This 16 hour course costs just £100! Further information and tickets available via our Training Courses page. Tickets for our next basic bike maintenance course are now on sale! This will be on Tuesday 25th April 5 – 9pm and costs £20. You can find out more and book tickets on our Training Courses page. Monday 10th April 10am-2pm will be out next monthly volunteer day! Drop in to the workshop to help us strip, sort and clean rescuable bike parts. This is a great way for aspiring mechanics and tinkerers to learn more about how bikes are put together and how to use different tools. We’ll have tea, coffee and biscuits on the go, just bring yourself in some warm clothes that you don’t mind getting a bit mucky. Read more on our Get Involved page. 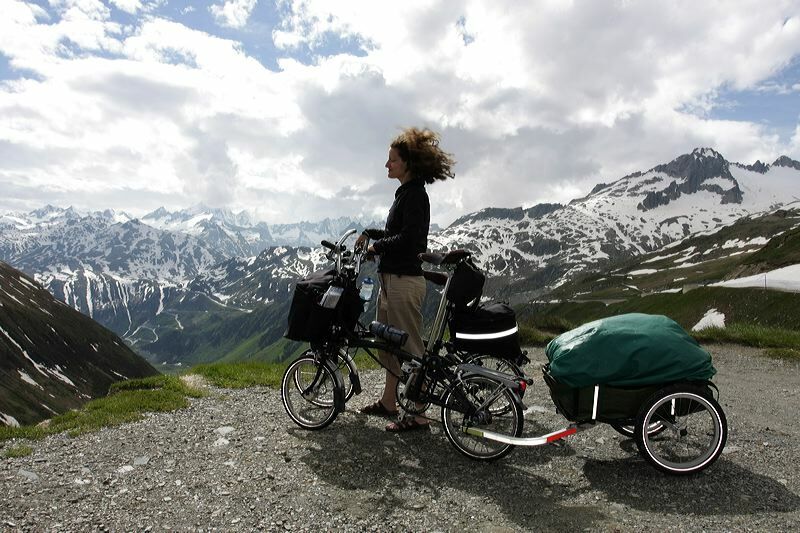 We’re going to the Women & Cycling Conference in Bradford, Thursday 4th May. It promises to be a great opportunity to explore ways in which we can increase the numbers of women cycling, especially those who are under represented in the ‘cycling community’. We’re really keen to share experiences, discover what others are doing and get more ideas for what we can do – hope to see some of you there! We’ll soon be offering a *new* Family Mechanics Course for parents and children to attend together. They’ll be short courses in which we’ll cover naming bike parts, m-check, basic repairs and adjustments for safety and comfort. Dates will be in the school holidays – keep an eye out for updates or contact us to register your interest. As well as saving bikes from landfill, something we’re passionate about here at Leeds Bike Mill is supporting people to get their own bike and to be confident on two wheels. For this reason we were thrilled to hear we had been successful in our recent application to Leeds Community Foundation’s Leeds Fund, to pilot a new project working with Refugees and Asylum Seekers. The project will involve us taking two groups of people through a 6-week programme of building up a bike and cycle training, and at the end, participants will get to keep the bike they have fixed. We know that getting a bike will mean an awful lot for the people who complete this course; bus travel in Leeds is prohibitively expense for most and we are often asked by organisations working with Refugees and Asylum Seekers in Leeds if we have any bikes we can donate. It’s the Skelton Grange Open Day (TCV Big Green Weekend)! on Saturday 8th October and we’re organising a bike ride there as part of Cycling UK‘s Big Bike Revival! The Conservation Volunteers at Skelton Grange Environment Centre is based in East Leeds and there will be all sorts of activities to try at their Open Day including willow weaving, woodcraft, campfire cooking and circus skills, plus tasty pizza, cake and local beer will be available. It’s happening 11am – 4pm so we’ll arrive about an hour after it starts. 10.15am for an 10.30am departure at the Wyther Lane Car Park by the canal towpath, at the junction of Wyther Lane and Broad Lane in Kirkstall. 11.00am at Office Lock on the canal towpath, near the candlestick building at Granary Wharf. It’s a flat ride along a mixture of towpath and roads. We’ll keep to the towpath and quieter roads as much as possible. It’s about 8 miles. There’s bike parking at the centre but please bring a lock. PLUS! We will be offering free bike checks, tune-ups basic repairs at the Open Day. We’ll have a limited number of free parts like cables, brake pads and chains available if you’re a bit strapped for cash.